Semeru, the highest volcano on Java, and one of its most active, lies at the southern end of a volcanic massif extending north to the Tengger caldera. Semeru, a favourite mountain trekking destination, has been in almost continuous eruption since 1967. It is known for its regular ash explosions that typically occur at intervals of 10-30 minutes. Peligro de explosión. Cerca de actividad estromboliana constante, ocasionalmente fuertes explosiones, flujos de lava y flujos piroclásticos. 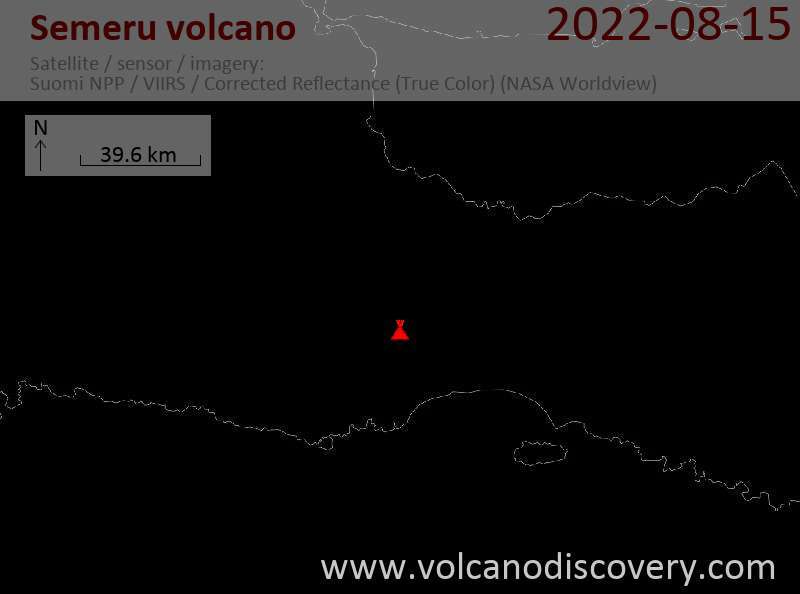 Semeru volcano Volcanic Ash Advisory: POSSIBLE STEAM/VA ERUPTION TO FL130 OBS MOV SSW AT 19/0130Z. Semeru volcano Volcanic Ash Advisory: VA TO FL140 MOV W 20KTS LAST OBS 25/1710Z. Semeru volcano Volcanic Ash Advisory: VA OBS TO FL140 MOV SW AT 24/0950Z. Semeru volcano Volcanic Ash Advisory: VA TO FL140 MOV W AT 22/2340Z. Semeru volcano Volcanic Ash Advisory: VA OBS TO FL150 EXT 10NM TO ESE AT 24/2030Z.